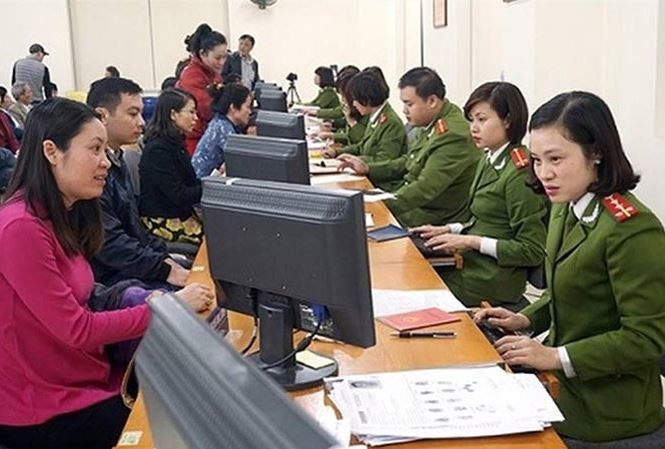 HÀ NỘI — Authorities in Hà Nội have asked the Government for permission to conduct a pilot plan which allows them to supply other agencies with information from its citizen database in exchange for a fee. It is expected that banks, notary public bodies and some others will be authorised to use this data source. The proposal was made by Hà Nội chairman Nguyễn Đức Chung during an e-meeting with government leaders earlier this week. The city has completed a population database of nearly 7.5 million people. This data source would be digitised so that information can be shared on an electronic platform to serve the needs of banking, notary, medical and educational procedures, Chung said. According to Chung, this not only reduces the time and costs for the people, but the data is also verified by the authorities, avoiding the provision and use of forged information. Hà Nội will make more than VNĐ300 billion (US$13 million) from the sharing of such data, Chung said. The chairman also requested Government support to implement the plan by reducing paperwork related to the use of IT services in collecting fees from the other units. In response to concerns about the sharing of data that could leak people’s personal information, the chairman said that personal information should not be revealed by sharing of residential data. This information has not related to personal secrecy because it was the same information contained in national ID cards including full name, personal identification number and place of residence, Chung told Việt Nam Television in an interview this week. This information was now integrated into the database to allow other bodies to use it, the chairman added. He also said that the money from fee collection would be used to repay the initial investment for equipment, server, transmission network. The Ministry of Public Security is also working on a national database that will store and supply basic and accurate information about citizens via their personal ID numbers.